A new report launched today by Oxfam America and Clark University’s Graduate School of Geography maps the intersection between the extractive industries and agricultural land uses in Peru and Ghana, two countries that have seen dramatic growth in their mining and hydrocarbon sectors over the past decade. 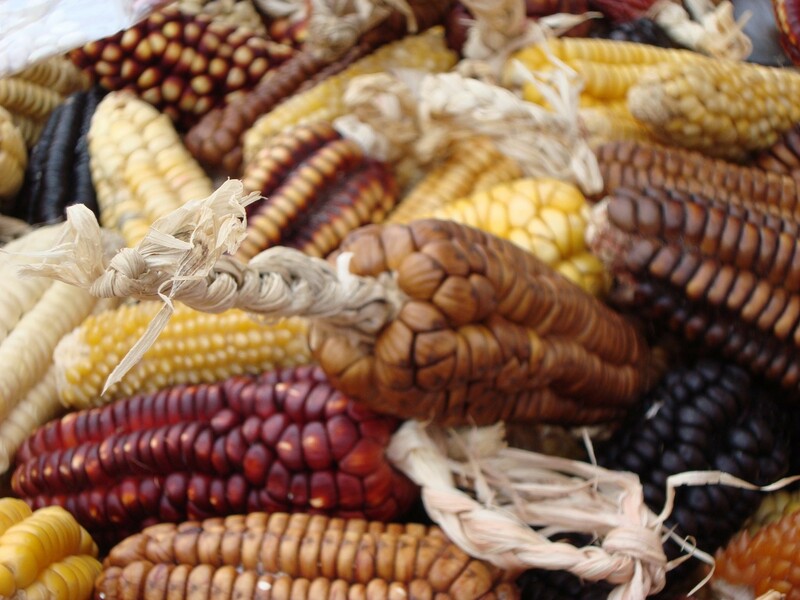 Varieties of Peruvian corn, a staple crop in Peru. Photo courtesy of Shashi Bellamkonda. The presence of international extraction companies in Latin America and Africa has often been associated with social conflict, with tensions over land use at times leading to violence and in some cases death. The environmental impacts of mining and exploiting oil or gas reserves can be catastrophic for some communities, rendering the land useless for other purposes in the long-term. The report details how hydrocarbon concessions in the Peruvian Amazon increased from covering less than 15 percent to nearly three-quarters of the basin between 2004 and 2008. Geographic modelling shows the potential impact of the extractive industries on local water sources, as, for example, there has been a rapid increase in the percentage of water basins that are granted as mineral concessions. 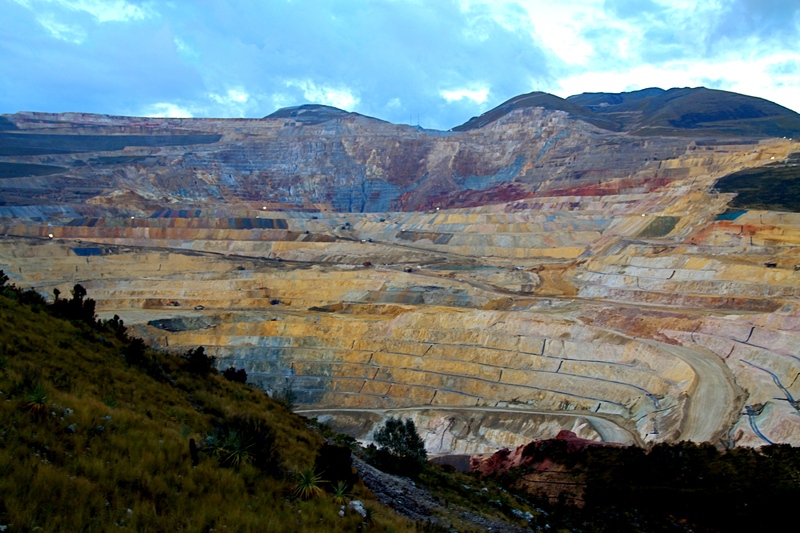 The Yanacocha mine in northern Peru is the second largest gold mine in the world and has been dogged by protest over contamination of the local environment. Photo courtesy of Golda Fuentes. Agricultural land too has increasingly been parcelled off for mining purposes. The report states, “interest in mining began spreading disproportionately into farming areas starting in 2007. Concessioning has been especially intensive along Peru’s coast.” There has also been a surge in the number of mining concessions granted in the highlands region. In Ghana, oil was first discovered in 2007 and since then extensive exploration operations have taken place in the country’s coastal waters. It seems that oil is set to replace cocoa, which has been the backbone of the Ghanaian economy for the past century, as the main driver of economic growth. 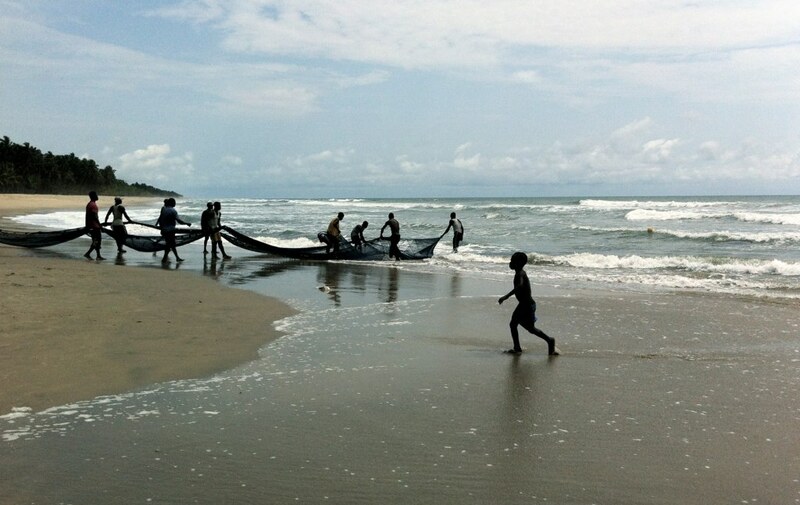 Fishers bringing in the nets near Saltpond, Ghana. Photo courtesy of Eileen Delhi. Coastal communities who rely on fishing for their livelihoods are especially vulnerable to oil spills that may occur as part of exploration work. Drilling at the Saltpond Field in the Central region of Ghana poses a particular risk to local communities, due to its proximity to the shore. Careful analysis reveals that the expansion of the extractive industries in Ghana is likely to lead to conflict over land use in the near future. Tensions between off-shore drilling and small-scale fishing interests are foreseeable, as is conflict over mining permissions that have been granted in forest reserves. When social and environmental conflict is foreseeable, governments and policy-makers should act quickly to prevent problems taking root. Local communities should be involved in decision-making processes, including how and when projects will be established and how revenues will ultimately be spent. The report’s authors conclude that in Peru “the needs and interests of the extractive economy have been prioritized over the interests of other livelihoods.” Far from a recipe for success, we will no doubt hear more about these issues unless public pressure can change the course ahead.